Let this gentleman’s crystal royal blue velvet bow tie easily take your formal wear from average to exceptional. 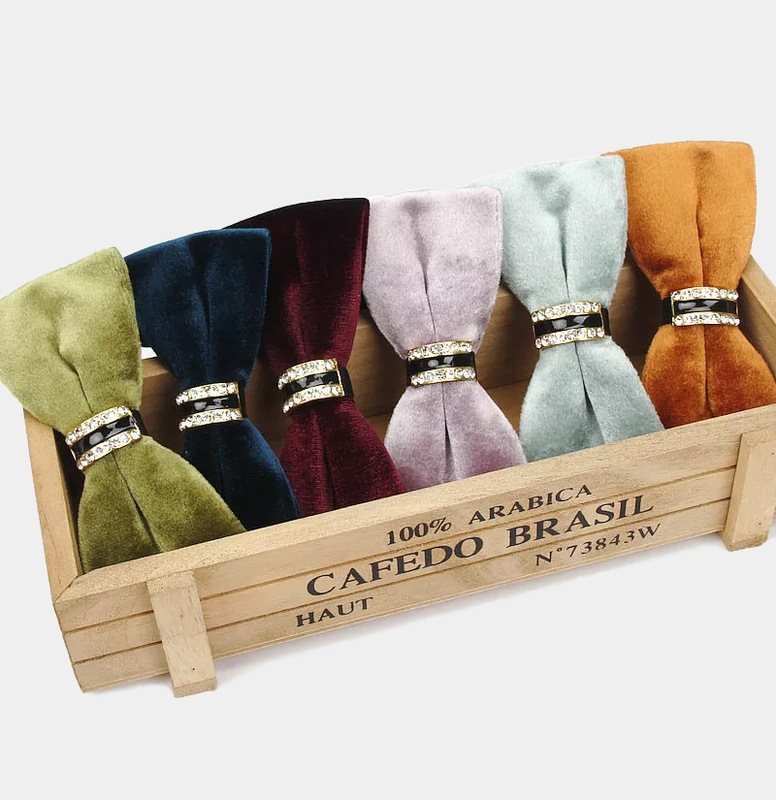 This gorgeous bow tie is the perfect finishing touch to any tuxedo or evening wear. The soft velvet fabric and deep rich color add sophistication and style to your apparel. This alluring bow tie is embellished with beautiful rhinestone crystals and enamel that add sparkle and shine. When you want to make a big impression and have all eyes on you, this is the tie to do it with. Simple yet significant, this crystal royal blue velvet bow tie is a must-have accessory for any gentleman’s collection. The striking color and dazzling crystals create an eye-catching and glamorous combination. 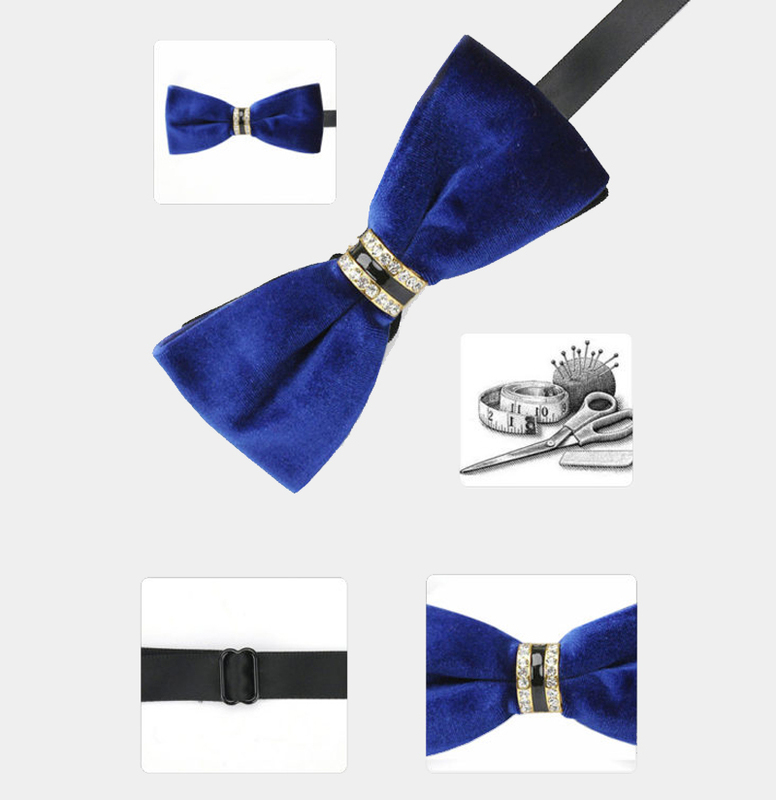 Handcrafted with top-quality materials, this handsome bow tie is pre-tied and has a fully adjustable strap. It is a comfortable and no-fuss accessory that looks great and is easy to use. Make your wedding, prom or next formal occasion one you will never forget with this modern and affordable accessory. My son loved it. Perfect compliment to the royal blue velvet jacket! Complimented the Blue Gold Tux nicely!